Whenever someone asks for restaurant suggestions, I always put Scratch Kitchen and Bake Shop on the list of choices because the food is awesome and the service stellar. While I have my favorite menu items, I like that the restaurant changes their menu seasonally so customers get a chance to try something new. 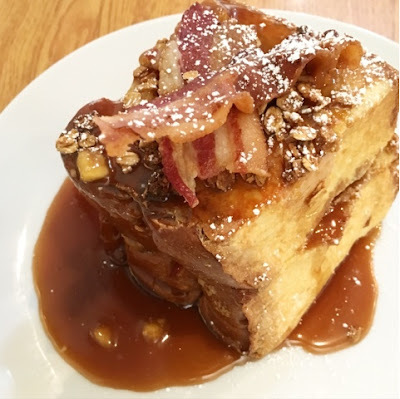 For instance, their new sweet brekky item, "The Elvis" French Toast is smoked bacon, peanut butter and banana caramel on sweet bread and topped with granola. Sounds a little too decadent doesn't it? Fear not and order it. It is amazingly not heavy and super delicious. It might even have the edge over my previously favorite "Milk n' Cereal" Pancakes. More taste testing needs to be conducted before making a final determination. 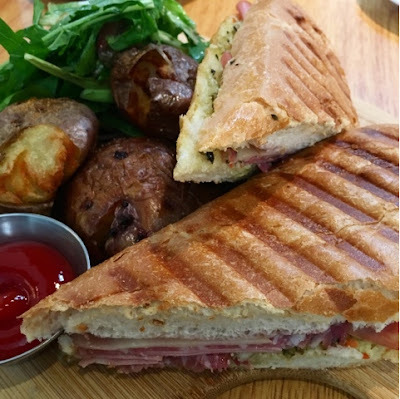 What I did love without a doubt off the new lunch menu was the NOLA Muffaletta: deli meat trio, smoked provolone and spicy olive salad on a French hoagie. It was spicy and so good. 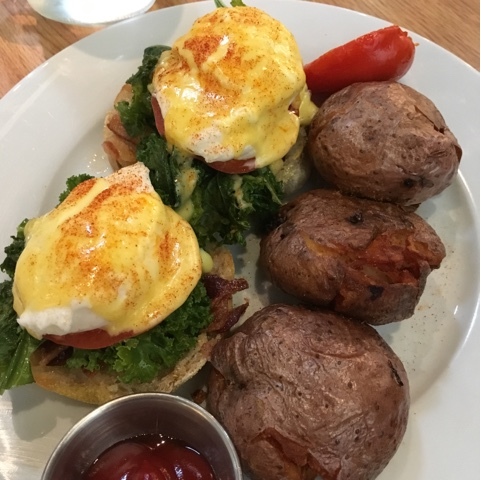 A true favorite at our table. The bread was perfectly crisp yet soft enough to not wreak havoc on the roof of your mouth. 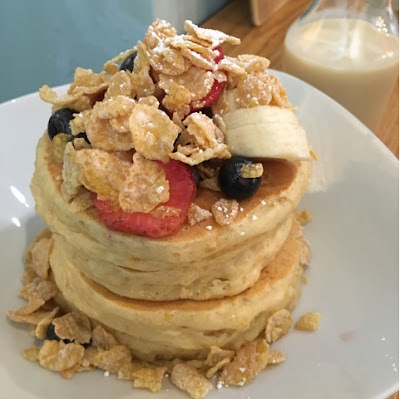 Still on the menu are classics everyone loves like the BLT Benny and "Milk n' Cereal" Pancakes.